1Ramadan starts tomorrow, Thursday 18/6. It's the holiest in the Islamic calendar, the month that the Quran was revealed to Prophet Muhammad. 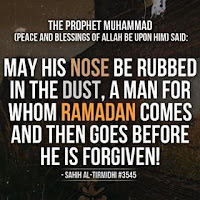 Muslims observe it by fasting throughout the day, and being a good human being, in the hope that we'll go to heaven after we die, and we will all die. One of the demands on us is that we make peace during this month, repair broken relationships, and seek forgiveness before Shawal comes. So here I am, my Dear Readers, asking to be forgiven. Selamat Berpuasa! Maaf zahir batin. Selamat berpuasa. Semoga Allah membuka minda dan hati kita dalam isu 1MDB. TRUTH AND REALITY OVERWHELM FALSITY AND FANTASY. To our leaders : Be a good brave leaders ! Ramadan will pave the way - dalam keikhlasan dengan Redho Nya. Amin. What has it got to do with non-Moslems? Never heard you say such things during Hari Wesak, Gawai, Keamaatan, Christmas, CNY, Deepavali, Good Friday, Taipusam etc. Imposing your arrogance and superiority of your beliefs? Yes you should asked to be forgiven since you have to much sins by defending a vvip criminal. 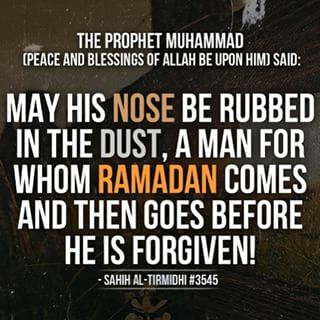 Make peace is good but what is better is to apprehend thieves during Ramadan that will cleanse your soul. If u ikhlas in your struggle then we will forgive u. Rocky is finally smoking his peace pipe. What about the rest of the year ? A good example is the repugnant, avaricious and the half breed Mahathir; Just look at this 'chap chong' he is most consistent and as expected he only vomits nothing honest or good but only toxicity. The longer this half breed stays around the more atrocities he committed are being revealed daily. May be that must the reasons why Allah is keeping him around to face the consequences of his actions. His most recent comments about not acting the non muslims like the Myanmar did to the muslims. When he did that again he selectively forgot that even his own daughter plus his one time trade minister had openly admitted that they too are 2nd and 3rd generation of immigrants. He must have forgotten he is no longer the one everyone must listened to and obeyed. Therefore it is best that he shuts his filthy mouth before he gets indicted and his ill gotten fortunes are being traced. Just remember the half breed must not count on the people to help him hide the fortunes he stole from this country. Bru - I haven't always agreed with your views, but freedom of speech is important and deserves to be protected. In the spirit of the season, I would like to wish you and your family a blessed and peaceful Ramadan. PEASANAN DARIRASULLULAH S.A.W INI MESTI DISEBARKAN BUAT SEMUA SAUDARA2 ISLAM KITA YANG HANYA PENTINGKAN DUNIA, LUPA BAHWA MEREKA AKAN MATI BIAL2 MASA SAJA DAN AKAN KEMBALI PADA ALLAH. Very true ....ramadhan is the right time to expose the truth. .m..yang bathil tetap bathil, yang haq tetap haq. How stupid you both are, you are helping the 'chap chong' how and where to the ill gotten wealth ! How is it that in his tenure of 22 years as Lord of Malaysia he wasn't able to help the Malays to obtain the percentage that is reserved for the Malays. When he was able to make his son a billionaire and himself the richest man in Asia and all in the name of the Malay that he or children are not Malay. Can a donkey who mates with a horse produce a horse or a donkey ? Stop fooling yourself that he or his descendants are Malays and surely the Malay is capable of getting a better Malay than this crafty Mamak ? The "Gentleman" YB is back! Pakatan Rakyat, Death by Suicide: Next, please! Why the hell is PM still talking about 1MDB?